Introducing our new offer scheme. Choosing the right university is a complex decision, especially when you get a number of different types of offers from different places. Universities take a variety of approaches to the way they make offers to students and in the last few months we’ve seen more focus on how this is done, especially around the use of unconditional offers. This year at York St John University we have introduced a new model for the offers we make to our applicants. We have done this after listening to feedback and completing a variety of research with our current students and those who might want to join us in future. We think it is important to explain what we have done and why. Our new ‘offer scheme’ uses a mixture of unconditional, standard conditional and reduced points offers. When deciding what offer to make we look at a number of things: predicted grades; the quality of the application; references; and the background information about an applicant available through their UCAS form. We use this background information because there is a lot of evidence that people with certain characteristics are less likely to access Higher Education than others. As a university that has always made access to education central to what we do, we want to help address this so that more people can experience the life-changing benefit of going to university. The things we look at that we know can be barriers are: the level of deprivation in the place where an applicant lives; the past results of the school or college an applicant attends; and whether the applicant is a mature student, has a disability, has spent time in care, or is the first in their family to enter Higher Education. We allocate points based on the combination of these factors that apply to individual applicants and determine our type of offer consistently based on this information, alongside the other considerations listed above. You can read more about how this scheme operates here. Using background information in this way is known as contextual offer making and it is recognised as best practice in universities as a way to increase opportunities for everyone in Higher Education. Nobody is disadvantaged by this type of offer-making, instead it is a way to look a person’s unique circumstances in the best way we can and make an offer that recognises those circumstances alongside academic merit. More than half of the students at York St John University come from one or more background that is underrepresented in Higher Education. We think this is a real strength that makes our campus a diverse and inclusive place to study. Our new offer scheme helps us to build on that strength. If we make you an unconditional offer it will be an ‘open’ one. That means you can use it to decide whether to make us your first or second choice, or choose a different university altogether. Having an unconditional offer from York St John will never depend on you making us your firm choice and it never has. It’s all about choosing the right university for you. 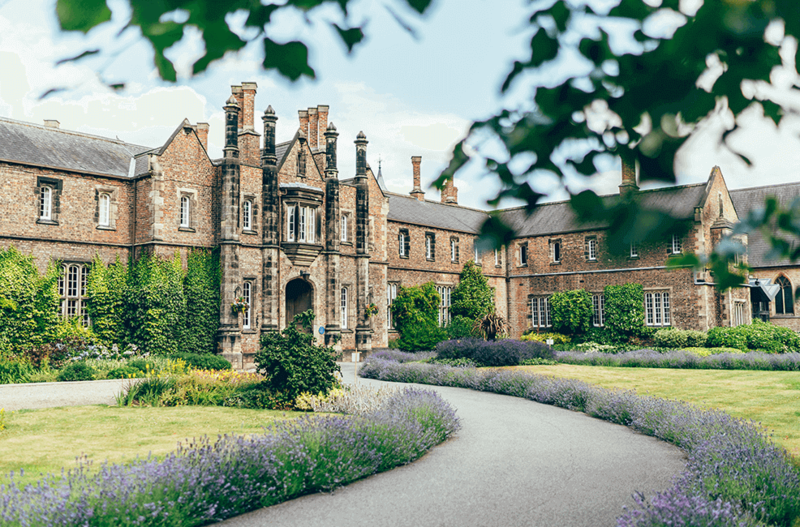 To discuss our offer scheme in more detail you can contact our Admissions Team on: 01904 809700 or at: admissions@yorksj.ac.uk.